Wales is certainly a place of astounding beauty. It is no surprise that the Welsh carry such pride; from the location’s awe-inspiring landscapes to its proud, national heritage sights, Wales is full of sights to be admired. Here are 10 amazing Flickr photos which showcase the destination’s great beauty, history and culture. A stunning view of the sublime Snowdon. Situated in the beautiful Snowdonia National Park, Mount Snowdon is the highest mountain in Wales. It is extremely popular amongst hikers, making it a world-wide attraction across the globe. A sight to be worshipped, its majestic quality is captured perfectly in this long distance shot, which brings across its humbling presence. A splendid view of the ruins. 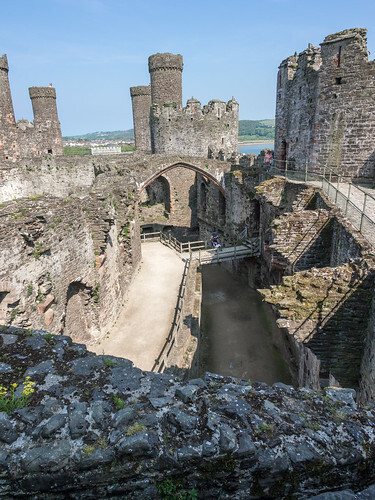 A sight which documents Wales’ proud history and heritage, Conwy castle is definitely a must for visitors. Built between 1283 and 1289, the castle is a magnificent medieval fortification. This superb photograph captures the majority of the castle, showing it standing tall and proud and outlining its intricate architectural details. The awe-inspiring Green Bridge of Wales. 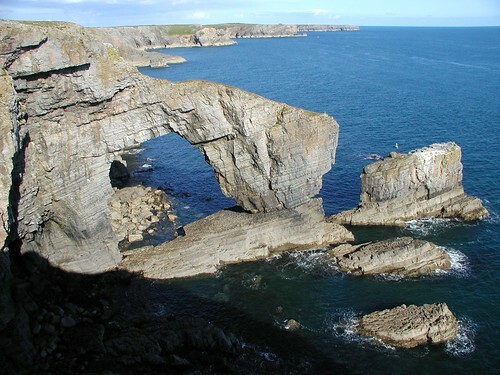 A stunning natural arched rock formation, the Green Bridge of Wales is a sight to marvel at. A wonderful work of Mother Nature, it is no surprise that the bridge is such a popular view to photograph. One of the best images on Flickr, this photograph brings out the vibrant colours of the scene, juxtaposing dark and light colours so that one’s attention is captured immediately. 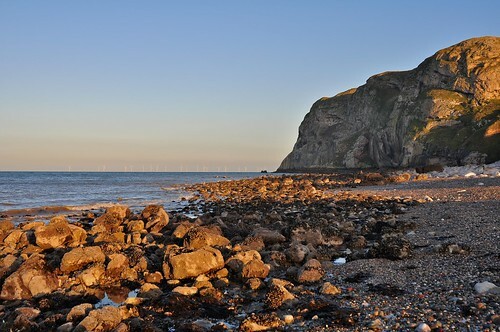 A popular beach amongst tourists, Llandudno beach makes for the ultimate summer day trip. Known as the ‘Queen of Welsh resorts’, it is the perfect place for families to wind-down and relax. This photograph captures the beautiful mix of sea; sand and rock that the beach boasts and makes it seem like a little piece of heaven on earth. The cute town of Conwy. 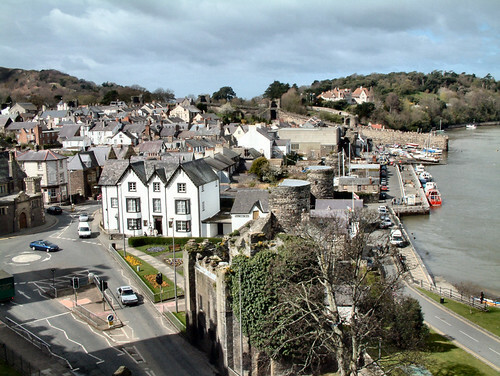 A small and quaint town, Conwy is a fascinating little place to explore. A town of history, traditional shops and cobbled path ways, visitors are bound to fall in love with this small but proud location. This photograph captures the entirety of the town, showing lots of dainty, little details and underlying its old fashion atmosphere. The beautiful Sea of Aberystwyth. A celebrated town in Wales, Aberystwyth boasts some eye-capturing landscapes. From its glorious sea to its rocky cliffs, Aberystwyth is a town worth discovering. Radiating a vibrant atmosphere, this photograph shows Aberystwyth’s beautiful sense of character through the motion of the sea and vivid, bright contrast of colours. A country of character and life, the Welsh patriotic attitude is often shown through football. All in red, this photograph captures the Welsh people in their most patriotic hour. Zooming out onto the crowd, this image highlights the sense of unity that the Welsh express and the strong use of colour shows their joyous characters. A location where adventure and excitement are daily found, Wales is a popular place to try extreme sports, especially water sports. 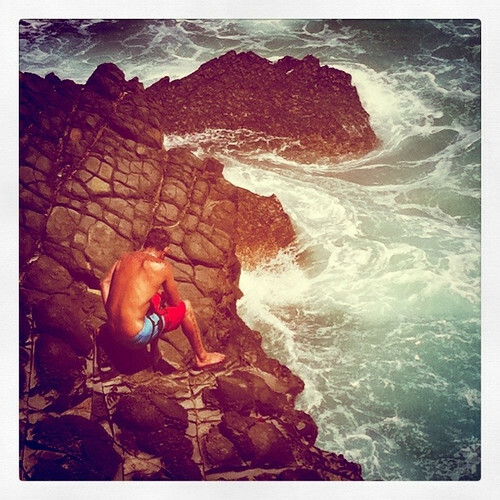 This artistic photograph successfully seizes that sense of action and great adventure. The faded colours also express a sense of mystery; implying that Wales is a place where anything can happen! Brecon Beacons National Park; a place of great beauty. 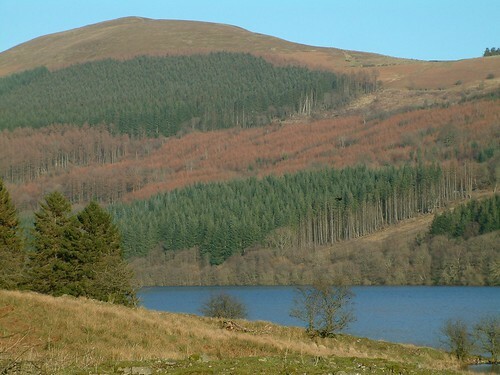 A mountain range in South Wales, Brecon Beacons National Park is an honoured sight amongst the Welsh people. A place of extraordinary beauty, it is popular amongst hikers and determined strollers. The faded colours in this photograph imply a sense of relaxation and the mellow atmosphere which the Park expresses is brought to life. A place to be admired; Snowdonia National Park. 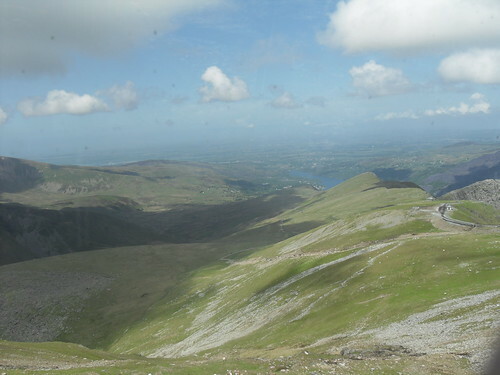 Famous throughout the world, Snowdonia National Park is an incredibly popular place to trek. It is one of Wales treasured parks, celebrated for its extreme beauty. Its colourful greenery is reflected perfectly in this photo and the glare of the sun on the camera lens makes it even more spectacular. These photographs are just a few of many wonderful shots of Wales. From capturing the pride and patriotic Welsh culture to reflecting the intense beauty of the country’s landscapes, these photos prove that Wales definitely obtains a photographic nature. 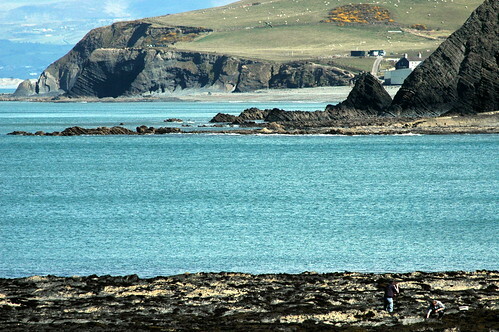 Take a look at some more photos on Flickr to see the beautiful country that is Wales. 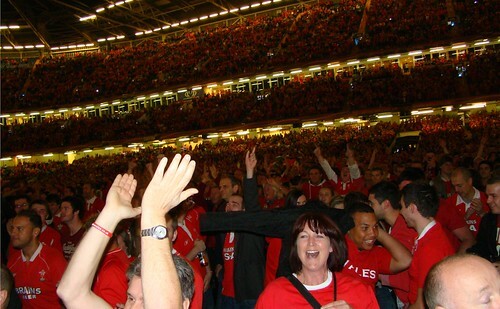 Those are Rugby fans at the Millenium Stadium in Cardiff, not a football kit in site!